however – where do i get started? I don’t offer a WordPress installation service or anything like that. I offer SEO services, but currently only taking on long term SEO clients and even then I’m very picky which domains I work with, has to interest me as I get way to many potential SEO customers to take them all on. All that being said my WordPress SEO theme (linked on the menu) is the only WordPress theme I use on my own sites. If I did take on WordPress work it would be installing my SEO theme and to be honest I’ve set it up so well most people can use the theme to setup a site running WordPress as an SEO CMS: takes me about 15 minutes to install WordPress with everything I use, not worth charging for something like that. My sites like http://md-law.classic-literature.co.uk/ and http://www.chileblogs.com/ (wife’s site :-)) are my SEO theme out the box with a few clicks of the mouse on the admin screen (so no template file editing needed). Google Showing Site Title Tag for all Search Results? I noticed that on my individual posts I now have “post title – webSite title”. I do not know if this is what I want? If I am targeting an individual landing page and long tail keyword instead of site title appearing in my posts on the Google search results is this optimal? I should know this but I have a lot of wheels in motion in my life right now so forgive me I can not focus. But I think I would like to switch it back to just “Post title” appearing on the Google search results as this might be better for me for SEO? Is this coming from a set up option or the plugin or hard-coded? What is your take on all this and how do I change it. I have a theory that Google did two things with Panda. 1) Decreased the importance of title from a onsite perspective, but increased it from the perspective of the user clicking on a meaningful title in the SERPs. SEO is becoming EUO or end user optimization to an extent but not fully. They are also trying to eliminate titles that are all the same and flood the web “how to play the guitar” for example. So uniqueness on one hand but meaning in the SEO traditional (keyword density still works as my targeted posts still do well) way is some how working in a way I do not fully understand. 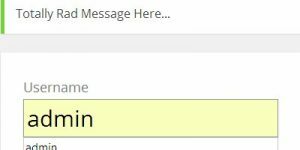 Anyway if you could enlighten me how to change this ‘post title – website title’ it would be appreciated and if this is the best way to go. I think Post title is a whole area of specilization. I mean you get the title right and write naturally in a well SEO – ed WP set up and you are half way there. I think I have to switch this off to not care about branding. But what is best for the a person out there not does not care about branding? Or does the added keywords on multi pages on your site help the main site page? If you’ve set “Best SEO Title Element OFF” under “Stallion >> Advanced SEO” your pages will include the name of the site within the title element (title tag). Take a read of SEO Tutorial – Domain Name Optimization for a more detailed discussion on whether to brand or fully SEO a site via the title tag. I don’t have the budget Amazon has, so there’s no way my sites are going to be world famous for the name of the site. For example it’s not going to be generally known there’s an awesome WordPress SEO theme under the brand “Stallion” at Stallion SEO Theme, so there wouldn’t be much point adding something like “Stallion” to the end of every pages title. On the other hand for Amazon they are a global brand, adding “Amazon” to the end of their SERPs makes a lot of sense, they’ve spent millions on brand awareness. SEO wise it’s usually better to set “Best SEO Title Element ON”. This assumes you’ve optimized all the title elements of your pages, if you have a site you made before understanding the value of adding relevant keywords to the title there might be value setting this to OFF if it adds relevant keywords to most pages (would have to be a highly niched site). Regarding the value of the title element/title tag I’ve not seen any evidence to suggest Google has recently downgraded the value of what you add to the title, it’s still the most important on page SEO element. Dave, I am not can you just double check to make sure that the Best SEO title is not reverse from what you say. That is when ‘best SEO title’ is ‘off’ then only the post name is displayed. Please check this in the SERPs for example as I think it is the opposite of what you way. For example, Your 45 year old millionaire website displays the Blog title on every search result. I think you have Best SEO title ON here but it displays this anyway. You have to turn it off to get only Post title not Post title + Blog title. Might be the Google data center you are using is testing a feature that adds the name of a site to the end of the title on SERPs. If that’s what you are seeing it’s not your site (Stallion), it’s Google. I’ve seen SERPs that look like this, but the pages do not have the name of the site in the title. You’d set “Best SEO Title Element OFF”. If you still aren’t sure what’s the site you aren’t sure about? I am not focused as I am in the big move but here is one website, so sorry for the typos and if I am not seeing this properly, however, this is what I see. I do not know why. But check your own websites also. Maybe I am seeing things because of this move, but this is what is happening. But you are right it might be something to do with Google. I have experienced wild gyrations in my Stats and it was showing that Google added site title to the search results if I had this clicked ON. 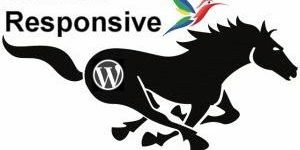 I noticed this because on one of my websites I have 4 WP Stallion theme installs on the same domain in different areas of the websites. Same domain, just set it up that way. The search results were showing up with the root install’s title which was not thematically related to a deeper part of my website not related to my root’s title. It seemed to be throwing relevancy off and hurting my rankings. That is how this whole discussion stated. In the end it is Google doing it I think. But when I switched Best SEO OFF, google only added this installs title rather than the root title. So it corrected it kind of, but still a mystery. You might not notice this unless you had a website that had a multi level set up like mine which uses a few WP installs on the same site. As you can see on the Google datacenter I’m using (google.com so whatever they are serving me by default) they aren’t showing the name of the site. What will be happening is when you don’t have the name of the site as part of the title tag the Google datacenter you are on is adding the name of the site. When you add the name of the site via your title element the Google datacenter you are in knows this (after a reindex) and so doesn’t add it to the search result. What Google is showing on different datacenters will have no impact on your SERPs, they’ll be testing the user experience to see what their users prefer. If you look up the different Google datacenters you’ll be able to do a search on different ones and get different results. So you should be able to find a datacenter that does show the name of the site and others that don’t. Your analysis is 100% correct here. Google loves to test as much as we do, and in this case that is what they were doing. Panda has been a bear for all my websites. I have not figured out the key yet, and as mentioned in the past I have consider non-indexing all my tag pages for duplicate content reasons but I think it is more a time on site thing. The junk I read on top SEO forums about Panda is not radical enough. I think it all comes down to time on site and getting people to come back. SEO helps people discover your site, after that, the onus is on the owner to retain the ranking with good user stats. For example, when I come to your Stallion site, I come back again and again to check comments and ideas. If I am not checking this website it is like I am missing something. It is SEO central. However, I think my sites have too much of a ‘read the article and move on’ type style. Therefore it comes down to user experience. I need more user experience optimization now, UEO. SEO is solid with your theme and gets me oodles of traffic. It making them stay and comeback is what I need to work on to recover from Panda. This is where you add your WordPress sites title, this text will be used through out the Stallion SEO theme and so is very important, for your home page SERPs (Search Engine Results Pages) there’s nothing more important than this text. There’s two things to keep in mind when writing your WordPress blog title, SEO and your visitors. The perfect SEO title for a home page might not be particularly good for your visitors. For example on my site www.45-year-old-millionaire.co.uk I initially had the title “45 Year Old Millionaire” which is great for visitors, but SEO wise is not so good (it’s not really a SERP). With this site I’m not going for full on SEO, the site mostly shows my affiliate and ad network earnings and has a lot of ‘repeated’ posts: not much difference between the posts “Make Money Online Revenue Report : 1st Quarter 2011” and “Make Money Online Revenue Report : 2nd Quarter 2011”. The best SEO title would be something like “Make Money Online Blog”, BUT it’s so generic I doubt I’d ever get a following (admittedly I’d have to post a lot more on the site to get a following anyway, but that’s a problem for another day :-)). My compromise is the current title “45 Year Old Millionaire Make Money Online Blog” which is a bit on the long side for a site title, but it covers SEO and visitors. By covering visitors as well it’s costing the site SEO brownie points, SEO wise that title should be “Make Money Online Blog”, so when you decide on your blog title you need to weigh up visitors vs SEO. On another site I’ve gone all out SEO with the title “Make Money Online Guide” and the home page is top 5 in Google for that phrase.